I get asked a lot about our kindergarten schedule from a variety of people. Sometimes parents, other teachers, or even people not in education at all say things like “when I was in kindergarten we took naps!” and they are curious about what it looks like today. I even hear “What do you do all day?” Well, trust me, we are busy! If you have known me for awhile or been around this site, you know that I am a huge advocate for play in the classroom. I am very blessed to teach in a place where play is not only supported but a part of every kindergarten classroom daily. 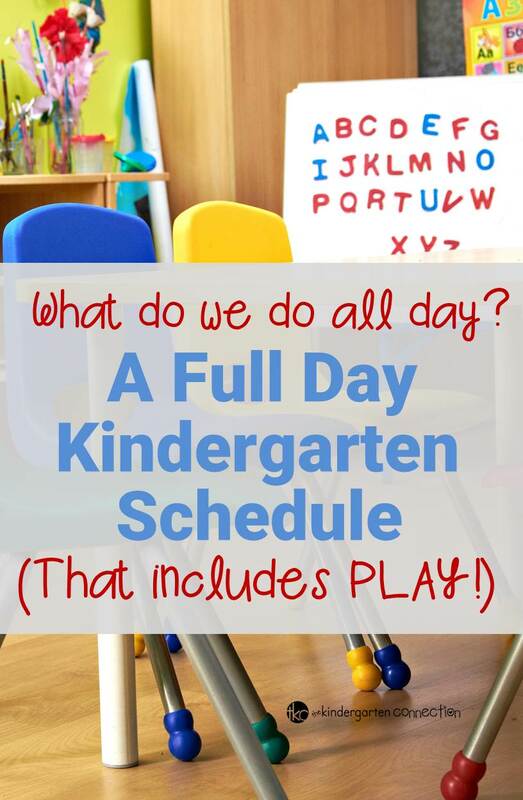 Due to this, I have been asked a lot about how that fits into our day, so I thought it would be helpful to share our kindergarten schedule with you! Before sharing my schedule, I just want to state that every classroom is different in every school around the world. What works for one doesn’t work for another, and schedules often vary based on district requirements, bus scheduling, etc. I also know that sadly, several kindergarten teachers are simply not allowed to have play in their classrooms. This is so disheartening, and I hope a change is near for them! 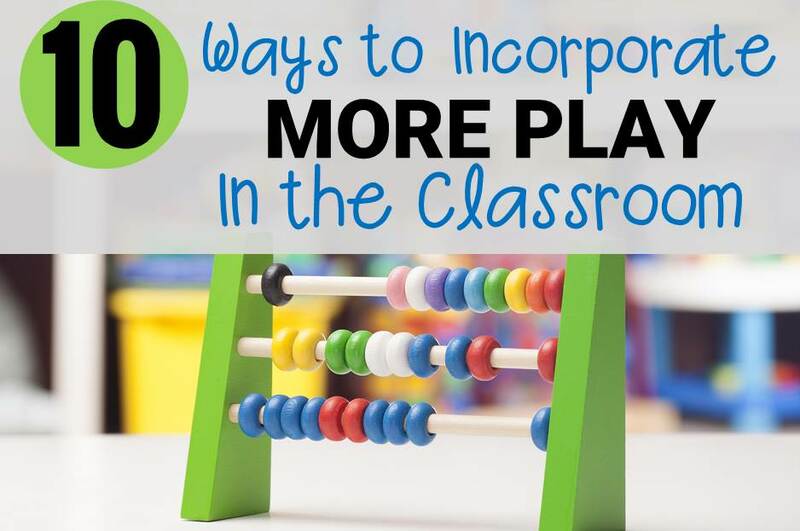 If that is the case for you, I suggest reading 10 Ways to Incorporate More Play into Your Classroom, where I hope you can find some inspiration! Of course – I would love to hear from you anytime with more questions, and please share with me in the comments what your day looks like too! My kids arrive at all different times. We spend some time unpacking, checking in, having converstations and more! Our morning work may consist of reading out of our book boxes, writing on white boards, working on our printing, math work, etc. It is typically something that is self directed so that they can get started on it on their own as others arrive. This includes a mini lesson, time spent writing independently, and some sharing. This includes lessons and math workshop/small groups. Wish we had longer time outside, but as I am sure you can relate, I don’t make this part of the schedule! This changes depending on my group of kids. Last year I played quiet music and my kids actually laid down for awhile and just calmed down. This year I read quiet stories or we have them read to us online. They come in from recess, get water, and need a little bit of time to rest. I find this really resets them and helps them with the afternoon. This is our science and social studies block. It gets integrated into our day, and math and literacy are incorporated into this time as well, but this is where we really dive into our inquiry units. Some afternoons I have specials, so keep in mind I don’t always have this long chunk of time for this! This is when my kids make their plan to play in our classroom. We have a kitchen area, blocks, cars, legos, puzzles and tons more. Our room is set up so that our work areas are actually integrated into play areas. You won’t find toys on the outskirts of the room, rather the centers are all throughout and in well defined spaces. Kids decide on a plan, but are allowed to change their plan and move freely between areas. During this time I support the development of social-emotional skills, as well as work on academics on authentic ways as they come up naturally through play. For instance, if I have a student who isn’t able to count with one to one correspondence, I may build a lego tower with him and count the blocks. If a student cannot read CVC words, we may do word puzzles together or read books. This is a time that they are continually learning and it is SO important for their development. I can’t imagine our day without it! Keep in mind they are allowed to free play, and I do not interrupt their play. Rather, if they are interested in playing and learning with me, I may approach them, but I never interrupt them. For instance if a child was already immersed in building legos, I would never go over there and make them count them. It’s only if we have started building together or they show an interest. Don’t you have standards to meet? Yes, we are actually a Common Core state so we definitely do! I find that my kids are succeeding because this play is intentional and supporting the whole child. No, I actually have kids with all abilities and from all sorts of walks of life and backgrounds. I also typically always have between 25-30 kids, so it’s a busy room! Learning through play supports my kids where they are at, so it is differentiation at its finest! I wish we could do that! Trust me, I wish that for you too. It is my hope that developmentally appropriate practices will continue to be spoken for and fought for, and that play can be brought back in every room! So…. What’s YOUR Kindergarten Schedule Like? I am curious, are you allowed to play in your classroom? What is your kindergarten schedule like? Is your day longer or shorter? I love hearing from my readers and fellow teachers, so please leave a comment below or reach out to me via the contact tab anytime – I always write back! Hi Lina! Thanks so much for sharing your schedule! I used to teach at a private school as well. 🙂 I think it is fabulous that you have an hour of nap/rest, especially with a longer day like that! They truly need it! It sounds like you have a busy, but productive and engaging day! Our day is 7:50-2:50. 1 (30 min) recess after lunch. Private school. No rest time. Standards to meet. I am finding that auxiliaries are taking up SO much of the time I need in the classroom. With this year’s schedule, 4/5 days of the week I don’t even have the option to start teaching until 9:30 due to chapel and then 10 minutes after that PE. Also, my day is pretty much over by 1:50 due to a daily afternoon auxiliary that is from 1:50-2:20. Then snack and pack up. I feel like my co teacher and I have shared our frustrations with our admin but never seem to get anywhere. Any advice? We need more play! This is a great post and I think your schedule sounds wonderful – especially your play time. Your students are so lucky to have such a dedicated teacher! Thanks for sharing about your day. I am curious though – how often would you change play stations? I agree 100% that our kids need that play time. Especially with such s long day. I love your idea to change the theme of the House Keeping/dramatic Play area. That play time is my favorite time. It is fun to listen to them and see how they work together. These are skills that too many adults don’t have. We can’t take away that play time. Kids learn best through play and our guidance. Thanks for a great post!! A great dramatic play station that my kiddos love is flower shop! We use fake flowers, kid size garden gloves, the foam flower holders and plastic vases. We also add aprons, notepads and a cash register. The boys love it as much as the girls! We do a flower shop every spring! I have teachers fill out orders. They say who the flowers are for, select colors, and write a note. The kids copy the note on pretty paper and follow the order to make an arrangement. They then deliver them. The kids LOVE it and feel like they have a very important job and our school is just a buzz with teachers sending flowers and positive notes to each other! 🙂 It’s my favorite! Hi, Alex. I love your idea of boxed kits. My team could do that and rotate the kits, so that we can do more kits in less time. Plus it would help with storage. We work pretty closely, so I think we can pull it off. Great post! It is always so nice to hear how other kindergarten teachers organize their day! Thanks so much for sharing! We are so fortunate to have admin that support play! I just wanted to share my kindergarten schedule, so maybe someone can use it! 12:15-1:00 Centers–We have 6 centers: 1. books, 2. computers, 3. puzzles, 4. playdoh, 5. room detective (some call this writing the room) and 6. stamps/work with teacher (this is my opportunity to work with individuals, otherwise they work with stamps on CVC, CVCe, digraphs/blends, etc) We rotate daily, so everyone gets to do each center over 6 days. I love that we have 1 hr and 45 min of recess every day. I’m lucky my principal was the kindergarten teacher at our school before me, so she really gets the idea of play. Tana, thanks so much for sharing your schedule! I also love that you have long recesses – that is fabulous and so necessary! Thanks again for sharing – teachers are visiting this post and have mentioned that they appreciate that other teachers are sharing their schedules too! It’s very helpful! Just curious Alex,do you also do Guided Reading by any chance? I didn’t notice it on the schedule? Thanks. Hi Reyna! All of our reading instruction is inside our “Reading” block with small groups (that is where I would do most of guided reading), Daily 5, literacy centers, etc. Feel free to email me at [email protected] if you want to chat more about it anytime! I love your schedule. I am in Orlando,FL and we used to have at least 30-40 minutes of recess, that was before common core. Then we were lucky to be given 20 mins per day, which is not enough, unstructured play time for a 7 hr day. I was wondering what state and school you were in. I absolutely love the idea of 1 hr and 45 mins of play everyday. Awesome post!! It’s great to see all the play incorporated. My husband and I are considering full day kindergarten so thanks for allowing us to see what a full day might look like!! We have early/birds and start at 7:55 and ends at 2:00. My students also get music and PE from other teachers (my prep time) I try to fit play time in but it might be once or twice a week. Wish it was more. Hi Alex! I loved your post. It’s a crazy world in kindergarten and it’s so important to support each other. Your post is a great way to open eyes and help one another. 8:35-9 morning routines, breakfast, morning work, interventions. Few! That seems like such a long day when I type it out! Goes by so fast and we love it. Play every morning and afternoon on top of lunch/recess. May be few and far between, but we do the best we can! Thanks so much for sharing your schedule Katrina! I love reading about what other classes are doing. I would love to hear more about your journey into becoming a STEM school – that sounds like a big process but I bet it will be great! Best of luck! 8:45 start school, children come in and self-register and then go into free play/choosing time while we rack to parent’s I’d needed, sort children with additional needs etc. 9:20 carpet time. Sing a start of the day song, talk about what we are doing today. 10:30 snack. All children under 5 are entitled to free fruit and milk in the UK. 11:30 phonics. Taught lesson of 15 minutes learning sounds and letters. 1pm register and carpet time. At this point we do an adult direct lesson of 20 minutes ish. We alternate between topics. 1:30 Play to Learn. Inside the classrooms we have areas to learn through play; role play, dressing up, maths, literacy, playdough, creative, book corner, technology, junk modelling, small world play etc. Most of our day is spent playing. And the children learn LOADS! *the first year of school, not forest!! Kindergarten is actually 5-6 year olds so that’s Year One in the UK. Reception is Pre-K. Thanks so much for sharing your schedule Laura! I love reading what other teachers do, and especially in other countries! I love that you have so much play to learn time and how intentional it is – that is probably such a fabulous time for your kids! I’m also quite stunned at the difference. I’m a UK early years leader… the US seems much more structured. I think your Early Years are comparable to our preschool/early childhood education here in the U.S. Our preschool programs are generally ages 3-5. Usually, a child must be 5 years old before September 1st to attend kindergarten. Many times parents of children who may turn 5 in the summer, may opt for an extra year of preschool/transitional kindergarten/pre-k to give them an extra year of growth & development – especially in areas where kindergarten has become more levels me first grade. THIS is what I want for my kids. Learning through play. Structured kindergartens here in the US are missing the very basics of how children learn at age 5. There are years and years of structure in school ahead of them, age 5 is too young. They learn math, language and, most importantly, socialization skills naturally. They learn social cues and empathy through playing with the peers. They learn math by counting out rocks they’ve collected. They learn science by seeing what can float in a puddle. The US has is all wrong. Can you tell me more about junk modeling? I have a small class pre k and Kindergarten. We have almost the same exact schedule. I often in the afternoons intertwine, science and art together. We are quite creative. Thanks for sharing. We also have a filled circle time, with prayers, poems, yoga and singing. Singing happens during all of our transitions too. I run a preschool program. It is only 2 hours a day but I block off 45 min./day for play…. or learning centers as we call them (house, building, discovery, quiet corner, art, etc.). It is so important not only for learning, but to give them a love of school at an early age! Love your schedule! Thanks for sharing! 9-9:40- Reading/phonics (usually a worksheet from our Houghton Mifflin curriculum and our daily phonics lesson through our Metra Phonics program). 12:30-12:45- quiet time/drink time (usually ends up being independent work time for most kids-I just shut off the lights and do piano music). 2:15-2:30- pack up/clean the room time (usually I put on a little kid PBS show or HeidiSongs DVD. I go around and give them a hand stamp for what color they were on (clip chart). This ensures a clean room and orderly dismissal when they are all at their seats watching something. I’m blessed to have a principal that fully believes in play, lots of outdoor time, and fun in the classroom! I pray that more administrators come to this mindset, as I know not everyone gets to work in environments like this. Go kindergarten teachers! Woot! Rebecca, yes – Go Kindergarten Teachers!!! 🙂 Totally love that! Thanks so much for sharing your schedule as well – it is so fun to see what others are doing, and helpful too! That is wonderful you get to incorporate play and outdoor time in your schedule! Thanks for sharing your schedule! 7:40-8:00 Breakfast in the classroom. Hi, Rebecca. I love that you have two blocks for math. Everyone is so focused on literacy that sometimes I sometimes feel this math takes a back burner along with the science and social studies. 7:55-8:30 calendar, morning meeting time which includes read aloud, sight words,sharing the pen, and exercise to go noodle or Jack Hartman! 8:30-9:30 Ela -reading, independent work, reading groups, center box rotations. 12:35-12:50 – rest or what i call during this time of year “belly and a book time” this is when they get to use their book baggie books and lay on their bellies and read to themselves or a friend to relax after lunch. I am so very excited to find this page! 830-930 outdoor play. We have a large back yard with fruit trees and lots of space to run and expire. 10-12 craft time, reading and music play. This time is where I give the girls two options every half hour or so “would you like to read books with me or should we have a dance party” depending on how energetic they are feeling they will choose and compromise as the choice needs to be unanimous. 12-1230 clean up from morning play and lunch time. Anyone that has suggestion for transitioning to a kindergarten program feel free to let me know!! I would love to hear any advise anyone has for us! Thank you for sharing your schedule. I am a big fan of child-directed activities and learning through play. Teaching Kindergarten this year has been a challenge because of the negative perceptions parents have about play. It seems like there is a huge disconnect between what research says about play and parents thoughts on how play is “a waste of time”. I have struggled to keep my 30 minute “learning stations” block because parents have complained, even though the children are thriving and have made progress in every area. I truly believe that this 30 minute block supports oral language, reading, writing, mathematical thinking… pretty much everything. 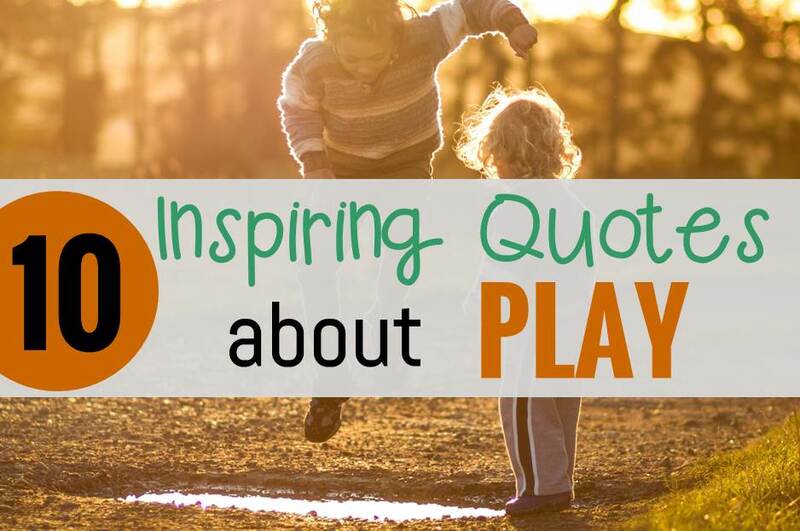 How can I make a change on the negative perception that play has? Before the school year starts, when we are meeting families, my K team and I hand out research articles that we have collected over the years that discuss not just the importance of play but the NECESSITY of play for children to learn and develop normally. If i continue to get push back, I recommend a few book titles that they can read. I also gently remind them that I have spent a large portion of my life and a big chunk of money learning about what is best for children. They are the expert on their particular child, but I am the expert on children. I don’t exactly say it like that, but that is basically the message. Hold on to your play time! We need to stop letting people without the appropriate background and knowledge making decisions for our classrooms. Legislatures are not experts simply because they at one time went to school! I love your schedule! What kind of school do you work at? Hi Leticia! I teach in a public school. Our district is very passionate about developmentally appropriate kindergarten classrooms, so I have been really blessed to be here! While I can see the great pains you are doing to make silk out of a sow’s ear of k priorities in 2016 (I assume public school?) I wish to share my 12 years of experience in public school and over 45 in the profession. When I saw “math” “writing/language arts” and when I saw “social studies/science”, I saw opportunities for play and movement. Using play and arts so kids can learn THROUGH play, adds to the unfortunate lack of time (and probably outdoor play materials) available for children. I know how hard this balance is….bringing the real learning into the agenda of well-meaning adults who have no idea what developmentally appropriate means. It’s not easy to push the boundaries and sometimes to sustain working relationships we need to conform, but don’t give up!! I teach in a religious school so our schedule and curriculum is more flexible. My principal also supports learning through play so that helps quite a bit. Our day is 8-2:50 with a half hour for rest time. We have an hour for langauage arts, 20 minutes for snack, followed by 35-40 minutes of play centers, then 40 minutes of math. Recess and lunch are both 25 minutes. Most days we have a special for 45 minutes, then rest time, and 40 minutes for Science, Social Studies or Religion. All in all it makes for a balanced day for my kids. My class size is on average 15-20 kids so it’s very manageable with my assistant to work in small groups or one-on-one with a child. I love getting new ideas to maximize the time we have in our classrooms! This was our schedule this year. We started 7:20-7:45 with morning work and unpacking time. 7:45-8 is Morning Meeting. 8-8:20 Calendar Math. 8:20-9:00 Flex Grouping for Reading. 9-9:45 Shared Reading. 9:45-10:30 Writing. 10:35-11:05 Lunch. 11:05-11:15 Restroom room 11:15-12:00 Related Arts (PE, Dance, Art, Music, Computer). 12-12:40 Math. 12:40-1 Recess 1-1:30 Science or Social Studies. 1:30-1:40 Snack 1:40-2:10 Centers. 2:10-2:20 Pack up and dismiss. 8:00-8:45 – Language Arts, letter/word work and a weekly story we study. 10:00-10:15, a quick activity if we get back in time, otherwise straight in to lunch prep. 10:15-11:00 – lunch. Teachers stay with the K students for 15 minutes to get them through the line and settled before we leave for our actual lunch. 11:00-11:30 – word work, special projects, science, or social studies. 11:30-12:00 – Quiet time. We too ended up listening to stories on youtube this year after initially trying just music. This is when I pull students back for testing or extra practice. And it gives slow workers time to finish projects and work. 12:00-12:40 – Centers. Usually assigned centers (2 a day, 8 total for the week). A combination of play centers and academic activities. If it’s a hectic or short week sometimes we will just do free play. 12:40-1:00 – cleaning up, stories, packing up and sharing. 1:10-1:25 – outside to line up for busses, pick up and after school program and then we dismiss a few minutes before the rest of the school gates open at 1:25. It’s a pretty short and there’s lots to do, but I love letting them play every day. I totally agree. I’ve been in K for 17 years and have seen the decline in developmentally appropriate practices. At our school, we are expected to have our students in full rigor at all times. We have a 15 minute recess which includes transition times to and from specials and lunch. So really, the children are only ending up with 10 minutes of play. It is so sad! I incorporate a “Friday Free Time” for about 25 minutes each week and even by doing that I feel like I’m going against administration. I am going to look for more ways to incorporate more play during our small group rotation. I am so jealous of a lot of these schedules!! We are required to have a 90 min math block and 90 min literacy block. The state of TNjust passed a law that k-1 students should have 3 15 min recesses a day. I will be interested to see how this is incorporated. Especially since we average 180 kindergarteners each year, it takes almost 15 min to get them all out there. I wish we had more time for play! I love your schedule! We are not allowed to have “play” but I know how necessary it is so I incorporate it within my lessons! Even just reading a book to the class I have my stuffed animals that come out to play and I noticed a HUGE change in my class and focus. We always have puzzles (math and reading and social studies), keep Playdough alive, Legos will be coming this year and so will blocks and trains. My schedule is a long and rigorous schedule which is our schools choice but I try to make it as fun as possible! Our school is from 8-3 for Kinders/1st and 8-3:30 for 2-7th. 9:15-10:40 is my daily five centers which only lasts about 8 minutes each station with reflection and transition time built in. 12-1:30 math… GoNoodle Airtime and relaxing videos is our favorite! My class was the only one to learn about all the 50 states!! We flip-flop. We teach and small group one day then the next day they have full centers to practice the lesson. We have a jam packed day but it turned out really well. The kids responded to the play I incorporated in our classroom! I love that you are so passionate about incorporating play as much as you can, even though you are tied to a pretty rigorous schedule. I love how you have noticed a shift in your class and their focus too – I am sure they love all that you are doing to make their class more fun and engaging! Thanks for sharing your schedule – I love reading what other classes are up to, and other readers who land on this post do too! When I started teaching Kindergarten this year I was shocked to learn that no play was happening not because of any policy but because there were literally no toys in the school for K aside from Math manipulatives. We have a pretty large school and this past year we had 5 full kindergarten classes (next year we’re only going to have 4 and this will be the norm from now on) so rather than trying to furnish 5 classrooms with toys, we came up with a way to divide the resources we did have (I had a lot of toys myself and there were a few things other teachers had plus admin gave us a budget to get a few things like a wooden play kitchen). What we did is that we set up each room with different toys and play focuses (Math, Science, Socials/PE, Art, and LA but there’s fluidity) and the children from each class get to play in each room on a different day throughout the week. They rotate to a different room each day so by the end of the week they’ve been to each play space and done different play activities. We’ve found this to be very effective and the children look forward to changing rooms each afternoon. I clearly post what room the children are going to next to my schedule each day and I found it was the first thing children looked at when they came in each morning. In the third term we even rotated the kids in groups of 4 from each class so they got to socialise with children from other classes which will help get them ready for Grade 1 where they will all be mixed up. It’s also helped them to feel safer with more than just their classroom teacher so if a teacher happens to be away there is always a trusted adult they can go to. Anyway, back to the day schedule. This is what I did last year. 9:00-9:30 Language Arts – includes phonics, sight words, word work etc. I use a lot of interactive notebook activities which the kids love. 9:30-9:40 bathroom, water break, change shoes and get ready for recess. I’m planning to do something very similar this year with a few changes. Thank you so much for sharing your schedule Hannah! I loved reading it, and wow! It sounds like you and your team really did some brainstorming and collaboration for your kids to have play – that is wonderful!! Can you tell me how you put your play center items in your actual centers? A picture maybe? I ut mine on the outside per say so they aren’t in he math centers or ELA centers. Thanks! I am so happy reading all the posts and hearing the efforts to keep play in our classrooms. 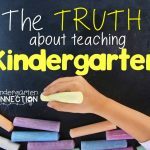 This is missing from many other kindergarten blogs I check in with. I especially enjoyed the European teachers perspective. I teach in a 2.5 hour public school program. We have 2 half day sessions so you can imagine our struggle to keep some free choice/play in our schedule. Thanks Alex for being a great advocate! So glad this post is helpful to you Janet! Play is so important, and I really hope that soon it will be in all kindergarten classrooms again! I think it’s amazing that you are adding it into your schedule with that limited amount of hours. What does your daily 5 during the reading block consist of? Hi Cheri! I follow the book fairly closely as far as what our choices are. So they are Read to Self, Work on Writing, Word Work, Listen to Reading, and Read to Someone. I also add in technology. I do not tell my kids which one they are doing, rather they choose (except for there is a rotation for technology because the supplies are limited). It is during this time that I pull small groups and work with kids individually. Hope that helps! Kiddos arrive between 8:00-8:15. Breakfast in the Classroom 8:15-8:35. 9:00-10:20 Reading block. Our reading curriculum must be used with fidelity and we are required to do 90 minutes of ELA instruction. 10:25-10:45, 10:45-11:05 recess then lunch. We call it eat then play. 3:15-3:30 classroom clean up and dismissal. I’m starting in a district this year that has zero play, and only 15 min a day of recess. They seem to think making sight words with playdo is “play”. I’m coming from a district where play and a developmentally appropriate practice was hugely supported- in fact, they hated us to use any kind of worksheets. Now I am going somewhere the complete opposite and am having a really hard time with it. I don’t know what to do. Any advice on how to try to incorporate play or get through to administration is appreciated! 8:30-8:52–Classroom is open. Students have breakfast, visit, start their work for the day. 8:53-11:02–Work period. Students choose various works (math, science, social studies, blocks, reading, drama, etc.). I work with small groups and individual students. Students make the snack for the class each day. We do a read aloud during snack time. 11:17-11:45–Trips. . . Monday and Friday–Technology Literacy with the grade 2/3 class. Tuesday and Thursday–School Library. Wednesday (full hour)–walk to public library. 12:10-12:35–Lunch (I am in the room until 12:20 and then grade 6 and 7 lunch helpers are with students. When they are done eating they may read or draw or colour). Full day kindergarten is new to out province this year. So far I am really enjoying it! We begin at 8:45 and let out at 3:15. We are required to have a lot of play based learning, such as free play both inside and outside daily. I felt as though the first 3-4 weeks the main focus had to be rules, structure, and routine. I had to get the behaviors down before anything else. My biggest issue is that many of our teachers, in particular grade 1 teachers are so against this full day kindergarten implementation. They make comments about the amount of play and the huge disconnect between K and 1. Any advice on addressing the negative Nancy’s?? I strongly see the benefits of play. It’s too bad others do not. Hi Jay! I agree it can be so hard when not everyone is on board with the importance of play. I think it is something that takes time and a lot of learning, collaboration, etc at the district level too and not just individual schools and teachers. My opinion (and I say this having taught 1st grade as well) is that kindergarten is NOT 1st grade, just as 1st grade is not 2nd grade…. we are not preparing kindergarteners for 1st grade by expecting them to learn 1st grade things. That is partly why I am not a huge fan of the term “kindergarten readiness” because I believe that it puts unneeded pressure on parents and pre-k teachers that the point of pre-k is to prepare for kindergarten. When it is SO much more than that. Just as the point of kindergarten is not solely to prepare kids for 1st grade, and so on all the way down the grade levels. Each grade level is unique and while yes, they flow together and we want vertical alignment, we also have to remember that pushing kids to do things too early is not the answer either. (off of soap box now haha) 🙂 In my honest opinion, 1st graders should have time to play too! We are currently working on that in my district I believe and working together so that there isn’t that disconnect that you mention. Feel free to email me anytime to chat about anything if you need help or support! Interesting approaches to the FULL-day kindergarten! I teach in an urban school in Britsih Columbia. My typical day starts with children arriving at 8:45. I have provocations/exploration tables et up. The often entire around an inquiry. This week was What happens when circles and patterns meet? I set up materials that allow them to explore the inquiry using loose parts, art materials etc. At 9:15 we usually meet at circle in a friendship circle. We sing a song, or do a pocket chart with an emphasis on rhymes, letters, sight words. We have snack from 10-10:15, outside recess from 10:15-10:30. From 10:30- 12:10 we have a blended play to learn approach ( centres such as blocks, story workshop with close parts, science exploration, light table, sensory able, painting, drama centre etc), We have lunch from 12:10 – 1:02 ( my lunch as well). The afternoon begins with read to self / read with a partner, read with a teacher. We use our afternoon alternately to explore nature outside, explore math concepts, and to explore other inquiry / projects. We end our day with movement songs, yoga, and instrumental play. the children are learning with lots of authentic, structured, intentional teaching and planning, but PLAY is the most important aspect of our day. The day ends at 2:50 and my afternoon continues with prepping and meetings. My sister is getting ready to enroll her daughter in kindergarten, but she was curious about full day instead of half. It’s great that they still follow the common core. Since my sister can get really busy, a program like this might be good for her. Thank you for sharing your day & the inclusion of the importance of play. I teach Prep ( the same as kindergarten) in Melbourne Australia. Our school year is almost complete & we are setting up for next year, our focus is going to be implementing elelments of ‘ Kathy Walker’ play based learning. Currently my school only use play at the beginning of the school year at the start of the day as a means to transistion our students into school. My team aim to do some shadowing of students ( not interrupting, just observing or if the kids include us) the developmental play will occur after recess & be our driving force into writing. Where our students will use their experiences during play to write. I love this schedule and nice to see how much time you spend on each area and how you do so. I would love to learn more about daily 5 and how to actually implement it. We have all the areas but I feel like I usually only get to one rotation a day. Is your writers workshop part of that.. with work on writing in daily 5? Also, do you not have a calendar time? reading/phonics curriculum time? Omg!! I’m always looking for ideas on different schedules! Your schedule is very similar to mine which makes me feel great!! I feel like I’m providing opportunities for students to be engaged and in charge of their learning! I’d love to know what some of your activities consist of during your morning check in! I do workshops, which are all activities related to reading/writing but I may add a math area in there. I had never really thought about doing that before. Would love to hear mor! 8:20- Students arrive, get unpacked and read from their book boxes or morning work. I wish we had play centers and recess. I just know they would benefit from getting to explore without structure. However, I LOVE what I do and couldn’t imagine doing anything else! Kindergarten rocks! 12:55-1:30 lunch -ITS SO LATE. KIDS ARE STARVING! There is a lot of rigor in our day, but we try to incorporate fun as much as we can. Hi Alex, I love your website! And thank you for sharing some of your awesome materials. It is so encouraging to hear from someone who knows the importance of play. What I am seeing is that younger teachers are being educated without an emphasis on the importance of play. Many begin teaching with no play in the schedule because it was not a part of their training. They don’t know that they can and should include a block for free play. They don’t know that it it CRITICAL because no one is telling them that play is the BEST way that young children learn and grow. There are also many cases where play has been removed because there is “no room in the schedule”, especially when K teachers must include test prep and testing, oftentimes requiring 1-on-1 administration since to 5 year olds, these paper based tests look like a mess of squiggles and lines. They don’t know what to do with them! Every single kindergarten schedule in the country should include an hour of free play with housekeeping, lego, puzzles, dress up, etc.In my school, play is “allowed” but it seems some teachers are afraid that it is not really learning, so it’s done quietly. In my classroom, we are not quiet about it! . Are you aware of the organization called Defending the Early Years? GREAT org – worth taking a look. An article I wrote about Testing in Kindergarten appeared in the Washington Post Education Column. It tells of my very real experience testing my 5 year olds. I posted the link below. Mind boggling, what we are forcing these kids to do. Again, so encouraging to hear a voice of wisdom regarding play in K. Please use that voice EVERY chance you get. Maybe with enough of us, k classrooms will again become places of creativity, exploration, freedom and adventure vs. paper and pencils, memorization and drills to learn concepts for which a 5 year old is not yet ready. I wish we had more choice here in WV. My husband and I are making plans to move to TN by the summer. I am given my schedule and I have to follow it to the tee. They are given recess ONE time,12-1230 and then it’s back to work. I have gotten in trouble multiple times for giving my kids a 15 minute snack/recess break at the end of the day because our specials are in the morning. This makes our afternoons (12:30-3:00) DRAG by. Our schedule is similar. Our kids do one 45 minute special (Art) in the morning. One 15 minute recess time then from 11:15am to 3:40pm they are in the classroom learning all afternoon. That’s a very long stretch and it is so exhausting. I keep saying there needs to be a special, recess, anything in the afternoon to break up that time. I am so intrigued by your schedule. I wish we had the freedom to have a schedule like this. 11:15-11:30- Calendar, I have kind of went away from calendar and focus more on math or do a fun read aloud. 12:15-12:50- Depending on day specials, science, writing. I try to do at least 2 writing sessions a week and one science at least. 2:15-3:15- Snack, Math- I am a new teacher, Still trying to figure out how to do both whole group instruction and small group instruction during this time. Suggestions welcomed. We recently went through a grant in which we focused on reading. Many of those practices are still in place. 2 1/2 hours of reading somehow is necessary with very little writing during this time. What does your inquiry time look like? The full day Kindergarten is new to Newfoundland and this is the first year for it. I am teaching Kindergarten but I find the inquiry part tricky. Jusy looking for some ideas. I always do a language block and we have interactive alphabet books, sightword time, journal time, write traits time. One of these would be in language time. What does your daily five look like? We also do this but I haven’t figured it out for Kindergarten yet lol. Any input would be great. And play is heavily supported in our classrooms. I just found out I’ll be moving from first grade to a brand new full-day K position in my building next year! 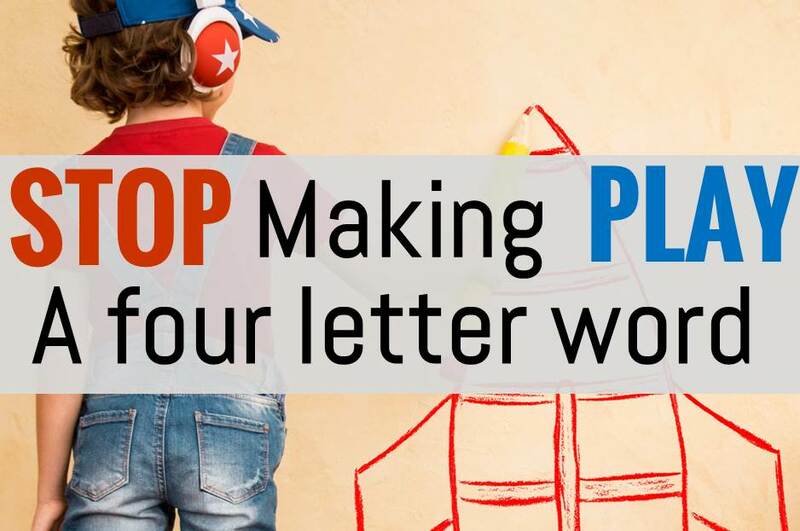 We are thrilled that a large percentage of our day will include developmental play, so this post was just what I needed! I especially love how you mention NOT interrupting them during play, but rather foster learning as they allow you, and when they welcome you into their play. Thank you SO much! Pinning this for later! Oh, and I should have said that I work in Bible concepts and handwriting in the other subjects. I teach kindergarten for the past four years I schedule changes based on our special time. Our school day starts at 7:30 and we go until 3:00. 7:30 -8:00- breakfast/ Morning tubs ( morning tubs are my math centers and are mostly math matuplatives and every once every month an a half I add legos because they love them so much). My kids come in at all times of the morning and it helped to not have worksheets for morning work. 9:00 -9:20- whole group on carpet- introduce our focus skill for ELA- letters, letter sounds, sight works, writing, focus story from Starfall. Depends on the week of what we are covering. 2;20- 2:45 – snack and pack up to go home. I agree, this definitely looks like a long day. My school has a similar schedule and lessons with similar time frames for lessons. Our schedule is 7:20am to 3:40pm. I would really like for our schedule to change as it seems very difficult for kinders to endure it everyday. I am seeing quite a few schedules that have surprised me to not see an RTI time in the schedule. This is something that eats up an hour and a half of our day. Great schedule! I have taught Kindergarten for 30 years. Love it! I replaced nap time with Tech. Time. Stations that consist of IPads , smartboard, computers and books on tape. They love it! My students have chromebook class every week also. I have my students on google classroom. Times have changed! I believe in play and we have three 20 minute recesses. I also teach STEM and we call it Mastermind Mania. We start school at 7::40 and end at 2:55. I teach a full day K in Canada. 8:50 bell rings, student enter, put away backpacks, answer daily question and then complete their morning sign in book (add a number to their calendar and a quick writing job). I am wondering if you limit the amount of student at each play center or if 10 of them want to do blocks you let all ten? Also how do you control noise or do you let it get noisy like indoor recess. With 25 kindergarteners as you know even quite voices get very loud when they are all playing together? I’m so jealous while reading through all your daily schedules. Seeing those long recess times, rest, and free choice times are amazing and I wish that was my schedule. Unfortunately, we are non-stop academics all day. Morning work, lunch choice, attendance, etc. Calendar, morning meeting, morning message. Then we get to do a wiggle song or two. 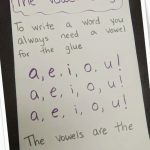 Phonics/ mini lesson and corresponding worksheet. Writing mini lesson, independent writing time, author chair. Reading centers/ guided reading. Reading intervention pull out. As you can see it’s non-stop. Our district requires 90 minutes for reading including intervention. 90 minutes for math including intervention, 40 minute writing block, and 30 minute science/ social studies block. Leaving me just enough extra time for calendar, morning meeting, morning message and snack in the afternoon. I would love to add 30 minutes of free choice EACH day but the best I can do is 30 minutes each Friday and then during indoor recess. “Developmentally appropriate practices [should] continue to be spoken for and fought for”. This kindergarten teacher totally agrees with that! I’m glad to have found your blog. I teach at a Christian private school, and this year I am teaching a combined pre-k and kindergarten class. 9:00-9:30 I read a story, talk about calendar and we chat about whatever they want to (5-10 mins) the rest of this time is spent doing a mini booklet related to the story we read. This is one way that we practise printing and phonemics. We only print the first letter of a word and my kiddos love calling out the sound they hear. Plus, it is great story comprehension practise too. I love these booklets and the many skills that are covered in a short amount of time. 9:30-10:00 snack and centers (free play) my kiddos stay at the same center they picked and do not change till the next day. I use a center board and coloured cards with their names on them to pick their center. It’s a very neat system. – on Tuesday I do hands on math centers and Thursday i do hands on literacy centers during this time. My students rotate through 4 centers which focus on many curriculum outcomes. This is a great way to see who really gets “it”. They really love these learning centers, but they do require adult support. I have literacy/math bags that my students take home for 2 weeks once a month. These are filled with books and a ton of activities all related to our curriculum. Many of my daily activities cover many different curriculum goals at once and revolve around monthly themes. Im sure our curriculum in Alberta differs from the States a bit and I have a lot of freedom in how I teach my curriculum. My class also goes to music once a week and we often go outside at the end of the day. My educational assistance and SLP work with students in mini groups during the day too. I repeat this schedule with my afternoon class. We jam pack a lot into our 2 hrs and 45 min day, but play happens every day and I try hard to balance paper work activities and hands on activities. My biggest joy is asking former students, who are teenagers now, what they remember most about kindergarten. Their reply is always “center time” and they will tell me what their favorite center was. Thank you so much for sharing your schedule. After teaching 4th and 5th grades for the last 12 years and Inow returning to kinder I have a ton of questions, for my team, about our extended day schedule. We are in session from 8:30-1:30. We spend 30 minutes at snack/recess and 40 minutes at lunch. We also have a decision time at the end of the day for indoor “play”. I feel like the recess time is a bit too long. I have other questions I will need to be careful about asking. Push to get rid of some of the play centers, but I have always backed up my play centers with a poster at each center stating it’s purpose and why it’s so important. I Also sent many articles over the years to state my case to my principals. My schedule is fairly structured . 12:30- 1:45 – work centers ( math, writing, language, science) when they finish their rotation they are allowed to go to play centers which include art, play dough, chalk, logos, home center, I-pads, blocks & trucks, puzzles, numerous tubs with building manipulatives, and writing center. Out classes include: Art, music, Spanish, Computers, Library and p.e. (3 days a week). I do have a restroom in my classroom, by after lunch we all go to the big restrooms before they get their mats to lay down. They need that play and down time both! I’ve been teaching Kindergarten 28 years, and it’s changed drastically since then. I am hoping we starting to see push back from educators on the lack of play in early childhood as well as the lack of developmentally appropriate practices in the early childhood classroom. I plan to home school my son who is starting Kindergarten next Fall. This insight is very helpful for me to understand the state versus home school standards. Play is such a HUGE part of the learning process at that age – I cannot understand how any child that age could focus all day without getting play time. I am glad this post was helpful to you! I totally agree at the huge importance of play – it plays a big role for children, and is so important for their learning too. I hope you have a wonderful year in homeschooling with your son! Hi, Alex! Your schedule sounds wonderful. 7:45am to 8:00am kids trays are thrown away by 7:45am and the principal begins “Morning Motivation” it’s like a morning assembly in the cafeteria reviewing the day of school and school values. 8:05am to 8:40am Morning Meeting then Calendar Math…. there is a message on the board that we all read together and answer the question of the day then Calendar math includes going over the date, days of week, months of the year, the weather, etc. Thank you so much for a peek into your school day. You have a long day for sure! It’s so helpful to get a snapshot of what other teachers’ days look like. We appreciate you sharing with us! I find it fascinating how academic all of these schedules look. Structured writers workshop and reading time. We are an international IB school in Japan. I work for a PYP Reggio inspired classroom. Our schedule is much different. We share our building with 3-6 year olds. We have a Pre-K for 3,4 and 5 year olds and Kinder for 5 and 6 year olds. Our space and schedule is shared so almost everything we do is multi-age. 8:30-9 is community time. Parents are in to play and engage with their child, their child’s friends and make connections to other parents. (if no PE) 9:30-11:30 is Open Inquiry. We have dramatic play, science area, recycled material area, music area, games and puzzles area, outdoor time, light table, book corner and an area area (nendo, clay, paint etc) And we use this time to observe, document, further inquiries the students have make in our units, etch. Thank you SOOOO much for sharing your schedule with us. This information is priceless! Have a great rest of the school year! Hi Ashley! Congrats on your student teaching and we wish you luck! You are going to have so much fun, we have a sweet spot for kinder! You are so right about teaching to the whole child and not teaching to the test. Sounds like you are already a wonderful teacher at heart! Good luck in all you do! Thanks for sharing your schedule with us! Something we do at our school is we’ve come up with play bins that coordinate with our curriculum themes. Some stand alone, some enhance existing centers. We have also created a play bin library for all teachers to share the resources we have. It’s been working great and our PTO/PTA has been very supportive in raising funds for it. The kids absolutely love it! Teachers do a beautiful job facilitating learning through play. It’s fabulous! Kudos to you. You’re doing amazing things! Thanks for sharing!! This is fantastic! We love the play bin idea! Kudos to you and how wonderful for all those who are benefiting. Have an awesome school year! I think this is the regular schedule for all the kids including my kindergartner in a public school. I would need your help to find out how I can layout a plan for my son once he is back home at 2:45 or by 2:50 PM. He sleeps late around 4 PM till 7 PM and then wakes up at 7 30 and then we go to play area at 7 30 and come home by 8 30 or 9 and then it will be 10 30 PM by the time they go to bed. I need your help on how I can plan the schedule for my son after school staying home and being able to get good night sleep and go to school by bus instead of me doing a rush hour drop off. I want him to excel in all fields and do well as every body but I am having hard time setting up his schedule after hours being able to balance time at home, play, learning, nap and finally the bed time. As a family of 4 with 3 years old and 5 years old we all want to be healthy and do well along with the kindergartner. Your help is appreciated on my question. Do you have pictures of your room setup? I would love to see how you have the work areas and play areas integrated. As always, I LOVE your blog and the work that you create. Our schedule is pretty close to yours. There are a few differences. My class all comes in together at 8:50. After unpacking, attendance, etc….. we do our morning routine, which consists of calendar, counting the days of school, weather, sharing bags and everyone gets a chance to share something, (verbally) , then we have snack and start our day. The students in our school get 40 minutes recess each day and we do have a 40 minute Center Time, (social play). It’s not too bad. Where did you get the rubber end caps for the chairs in the picture (they look like two small rubber balls on the chair legs)? I see that most schedules show the day ending at about 2:40pm-ish or 3:00pm-ish I wish that was the case at my school…..
Wow after reading some of the post, I feel like we have a very busy schedule! 2;15-2:20 pack up and go home. We only have social centers on Friday afternoons instead of science and social studies. It’s non stop, no rest for the kids and a lot of learning! It doesn’t feel like kindergarten anymore. Thank you for sharing your schedule with us! You’re right, to most it doesn’t feel like kindergarten anymore. It’s a good thing these kiddos have teachers like you to help them along the way! Have a wonderful rest of the school year! Glad to find your website. We start to teach reading and writing only one year before the kids entering primary level. Before that one year we just introduce them to basic phonics. We encourage the kids to play more indoor and outdoor and develop creativity as well as their social skill. Here is our schedule. (please advice). 09.00 -10.00 Arrival (arrive at different time), changing to P.E clothes by themselves(Living skill), toilet time, free play in the classroom. 10.00-10.30 Opening greeting, snack time(fruits),phonics. (Science/social study/Living skill and math, depend on the day). Return to school and changing to uniform. 14.00-14.45 Art/Creativity, if art finishes earlier, next will be play indoor with teachers. 14.45-15.00 Tidy up, prepare to go home, closing greeting.